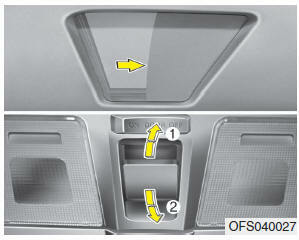 To open or close the sunroof (manual slide feature), pull or push the sunroof control lever backward or forward. Pull the sunroof control lever backward to the second detent and then release it. The sunroof will automatically slide open all the way. Pull the sunroof control lever forward until the sunroof is closed. If an object or part of the body is detected while the sunshade is closing automatically, it will reverse the direction, and then stop. 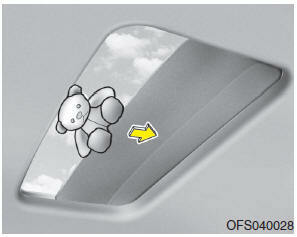 The auto reverse function does not work if a tiny obstacle is between the sunroof sash. You should always check that all passengers and objects are away from the sunroof before closing it.